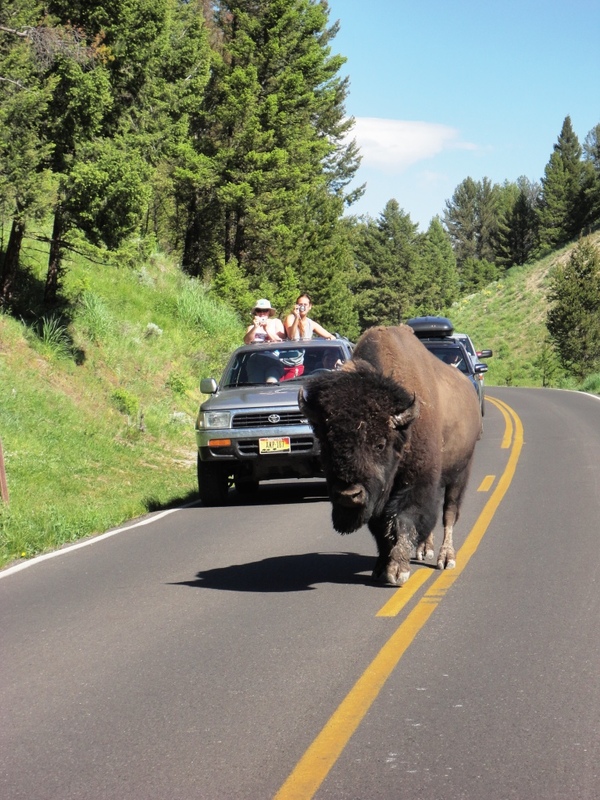 June 29, 2011 – It was the most anticipated day of our vacation – we were going rafting on the Yellowstone River. 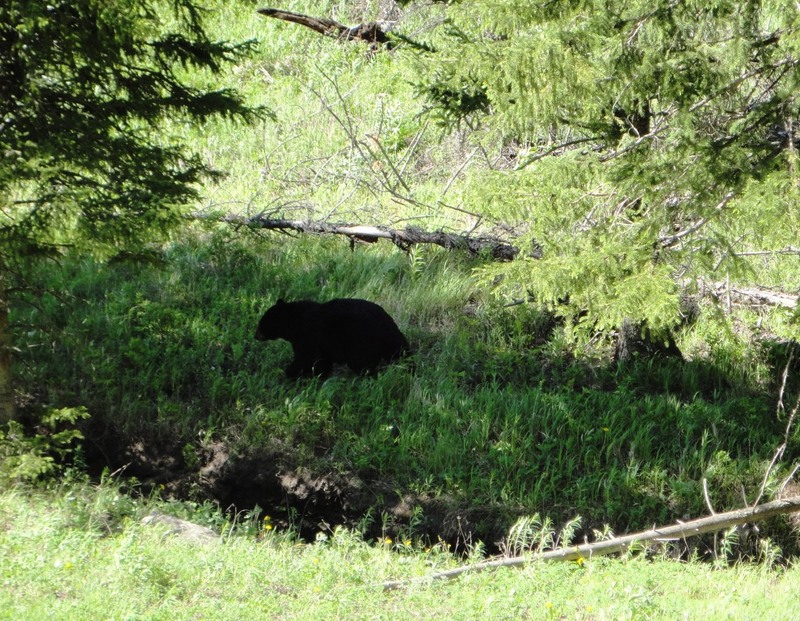 We checked out of Canyon Village and headed north to Gardiner, Montana. Along the way, we took in Tower Fall, the beautiful 132-foot waterfall on Tower Creek. 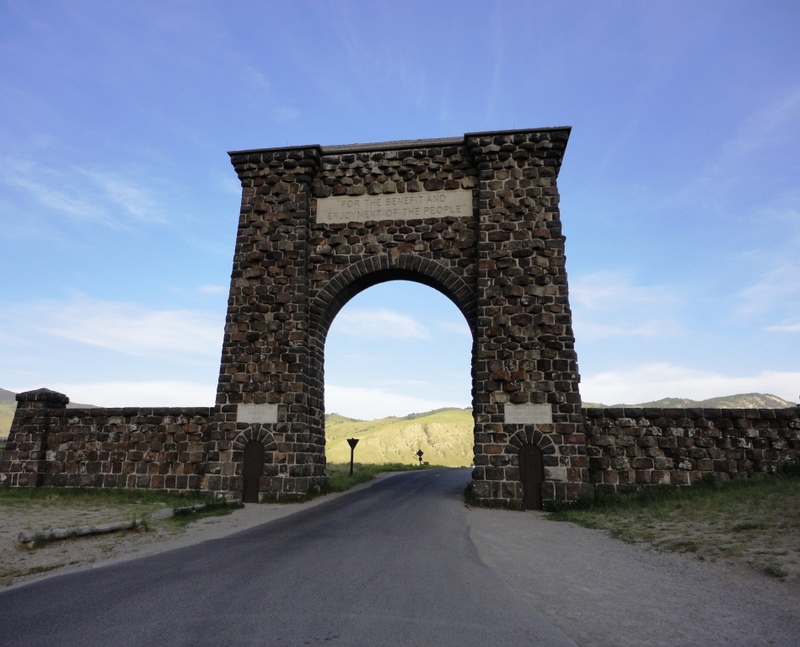 After driving through another bear jam and bison jam (see pics below), we left Yellowstone National Park through the historic Roosevelt Arch and found Yellowstone Raft Company in dusty downtown Gardiner. 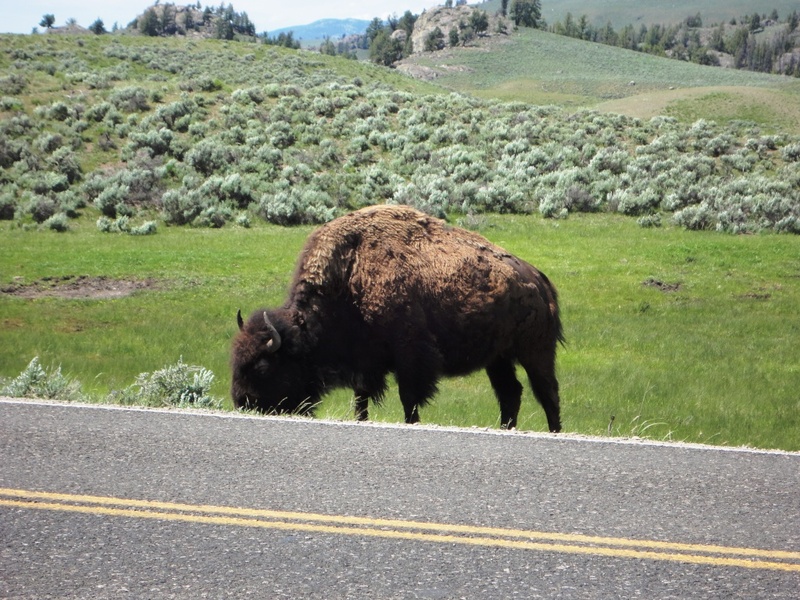 Time to put on our wet suits and gear up for our 8-mile trek on the Yellowstone River. 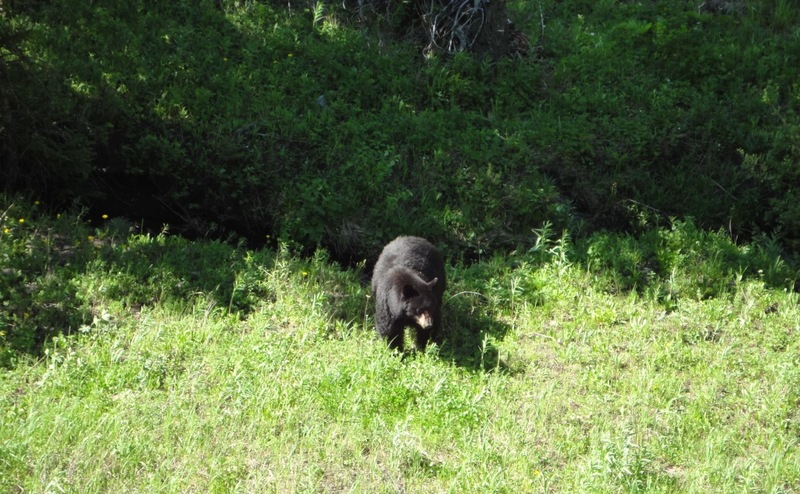 The river was peaking from the hot weather and snow melt, so we were heading in at the perfect time for a wild adventure. 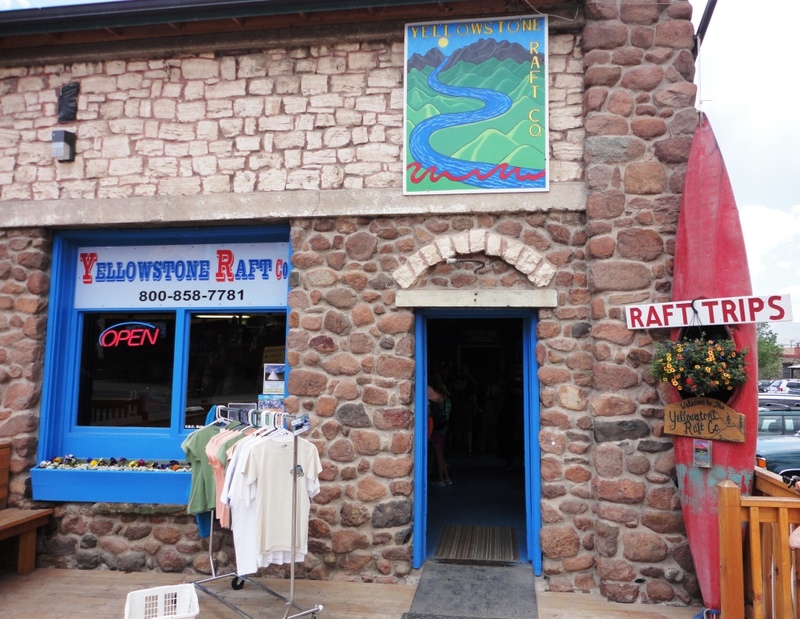 I sat in the very front of our 11-man crew with my fellow crewman Mike — we were designated as the muscle up front who had to brave the waves and power our raft through the white water rapids. Our guide did a great job of barking orders and steering us into the fastest current. I’m glad I had a wet suit! The water was freezing and rough, but fun. After a while, we eased through a slower part of the river and we enjoyed the scenery, especially The Devil’s Slide. We arrived at the take-out spot way too soon — I wanted to keep floating. Big Sky Brewing Company was my favorite brewery of the trip. 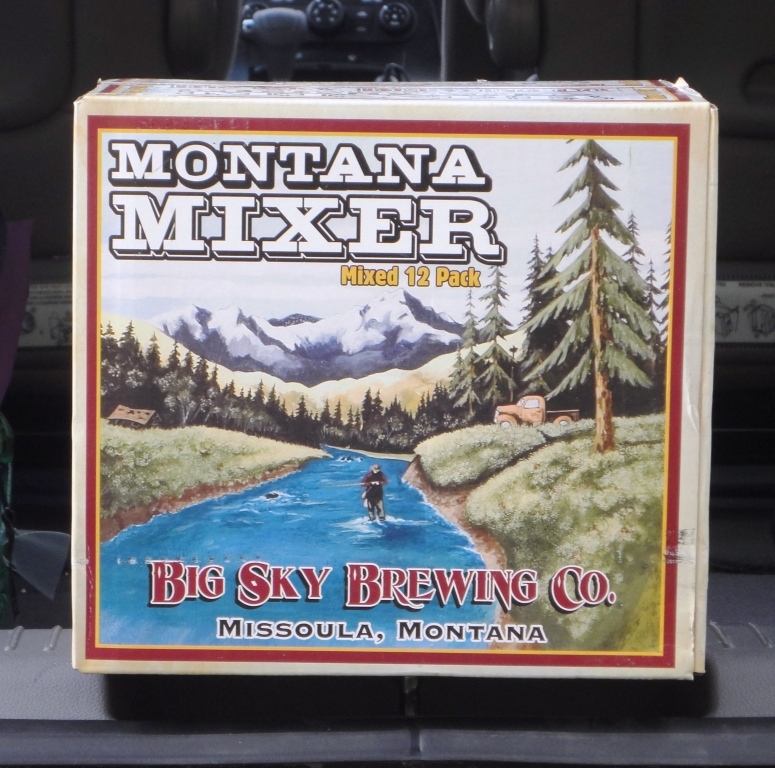 I wish I could find this beer at home because the Montana Mixer would be a regular buy. 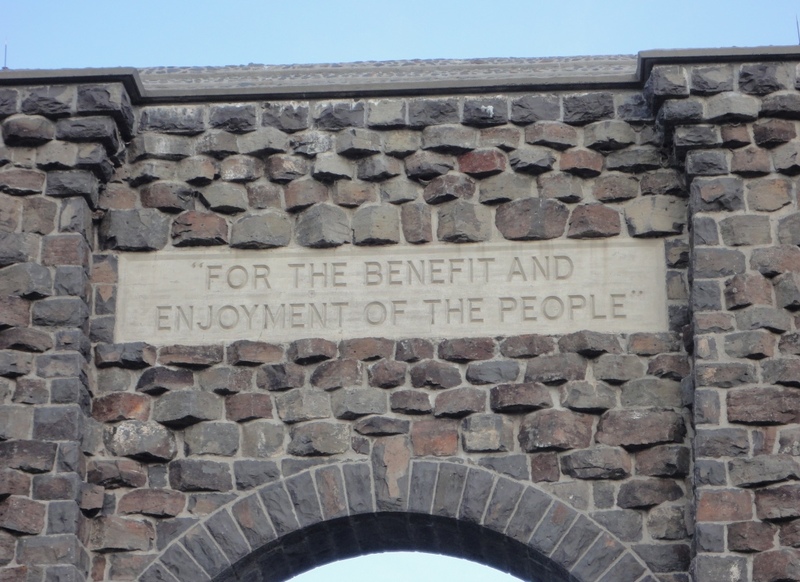 President Theodore Roosevelt said that Yellowstone National Park was created “For the benefit and enjoyment of the people,” a quote that appears on the Roosevelt Arch at the North Entrance of the Park (see pic below). You know, he could have been talking about beer! Next: Old Faithful and more local beer.